Learn how to create a workgroup on the Windows 8 operating system, follow the steps below and if you have any other questions, type a comment. A workgroup or home group is a way to share documents and printers with other computers connected to the same workgroup computers. This publication is as a reference for future releases of Windows 8 on printers to work from the same workgroup or home. Windows 8 unlike previous operating systems has made great arrangements to this tool in order to facilitate the way users share information with each other from computer to computer in the same workgroup or home. The following procedure is to create a working group from scratch, if you already have a network group can use the same procedure to join him. Click settings PC after group home. 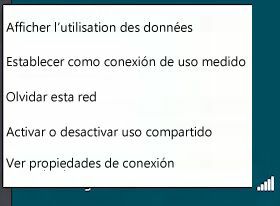 That was the procedure for creating a workgroup or home in Windows 8, if and computers are configured when you get home group will be asked if you want to join. The use of network sharing option must be enabled so you can share files and view files from other computers. Follow the procedures below to enable or disable document sharing. Move the mouse to the top right of your desktop, click Settings, then click the Network icon. Right-click the network that is connected and select enable or disable sharing. You can disable or enable the network many times as desired, the recommendation is not to do it, you can perform a configuration that allows leave their documents available to other teams in the future.